BAC Credomatic is a leading financial institution in Central America, head-quartered in Puerto Rico and operating in several countries. Back on July 20, the company launched a new corporate identity, created by a team at Lippincott lead by Rodney Abbot. At the time we didn't have firm sources crediting Lippincott, but the agency recently revealed a full case study for this project. The BAC Credomatic brand is a fusion of the retail bank brand BAC and the credit card brand Credomatic. The combination had been somewhat inconsistent in the past and Lippincott was brought in to solidify it and position the brand for the region's younger and upwardly mobile generations. From now on, the BAC Credomatic will always be used in full. The bank is also more visually consistent, with the name always appearing stacked, allowing the redesigned iconic lion to "stand tall". It also uses a more contemporary style to portray BAC Credomatic as a simple and efficient solution for ambitious and striving people in the region. Yopa is an online estate agent in the UK that aims to redefine "the entire home selling experience". It has a business model with more flat fees and less of the traditional commission that estate agents typically charge. This month, it introduced new visual identity, created by London-based SomeOne. SomeOne set out to give Yopa a consumer-centric brand and achieved this by speaking "with an honest personality, sprinkled with wit and warmth throughout". The technological aspects take a backseat to focus on the agents that are still behind the brand. Atlassian is an Australian company that develops enterprise software, for example the bug tracker Jira. This week, the company introduced a new corporate identity with a range of logos for both the company and its products. With Atlassian's product being built around aiding teamwork, the two forms in the new company symbol should be seen as mutually supportive, as in two hands high-fiving or pillars reinforcing each other. Of course, it's also a stylized initial. It replaces the stylized image of Atlas used since the company was founded (updated in 2011). The new product symbols are designed to feel similar-yet-different, to separate the products but also communicate that they are part of the same family. The company also has a new typeface, Charlie Sans. August is a time when many TV channels present new programs, and some also take the opportunity to rebrand themselves. This round-up therefore contains a healthy crop of new TV logos. But the biggest change came from the service that has become TV's biggest competitor: YouTube. Other big ones included new logos for ARM processors and several online services. Expander is one of the largest networks of financial advisors in Poland. According to the latest data I could get, they have 89 offices around Poland and sell every tenth mortgage in the country. Last week, the introduced a new brand identity, created by White Cat Studio. The new identity wants to convey modernity, reliability and professionalism. The previous logo did not achieve this, and also had some legibility problems. However, the strong colour combination and characteristic dynamism was carried over and strengthened in the new iteration. Back in 1990, some Americans got the opportunity to try out a new fully automated photo development system that could develop a roll on film in a half hour. It was called PhotoGo and was developed by Print Technology Inc, a photo-processing start-up based in Marina Del Rey, California. The brand identity for the new product was developed by Keith Bright, Il Chung and Raymond Wood of Bright & Associates (now Bright Strategic Design). It's a straight-forward logo built based on multicolored film sprockets. RTL is the leading commercial broadcaster in the Netherlands, operating four general entertainment channels (RTL4, RTL 5, RTL7 and RTL8) in addition to a bunch of ancillary services. About five years ago, the four main channels were rebranded, replacing a common logo template with individual looks for each channel. 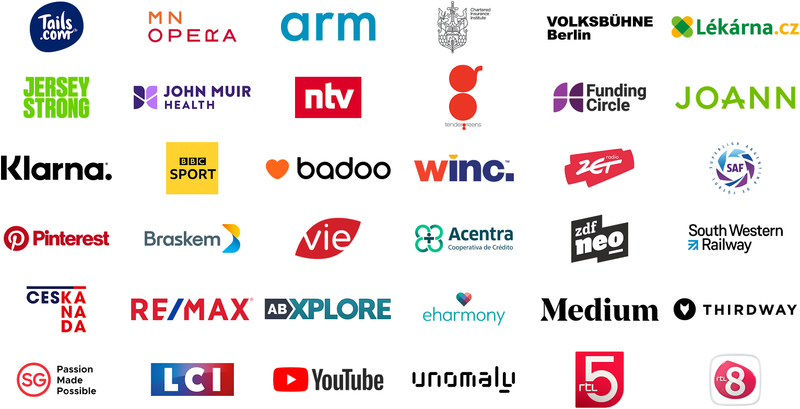 Last week, on August 30, the company revealed new logos that once again draw the channels together by using standardized RTL lettering in every logo. The new common "RTL" letters have been used by the news service RTL Nieuws since 2014 and by RTL4 since at least last year. 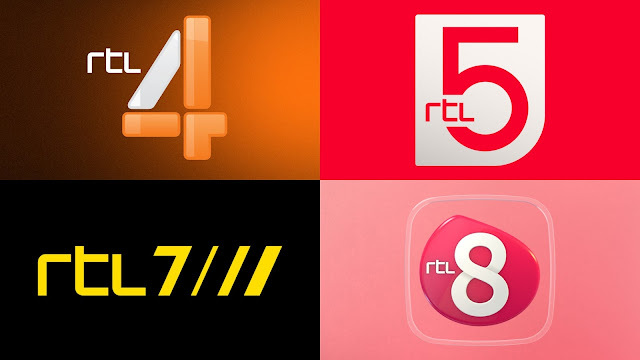 For RTL7 the change is subtle, while RTL5 and RTL8 have been given completely new logos. The youthy reality channel RTL5 has replaced a dimensional logo with a flat one, while the change for women's channel RTL8 appear more lateral.